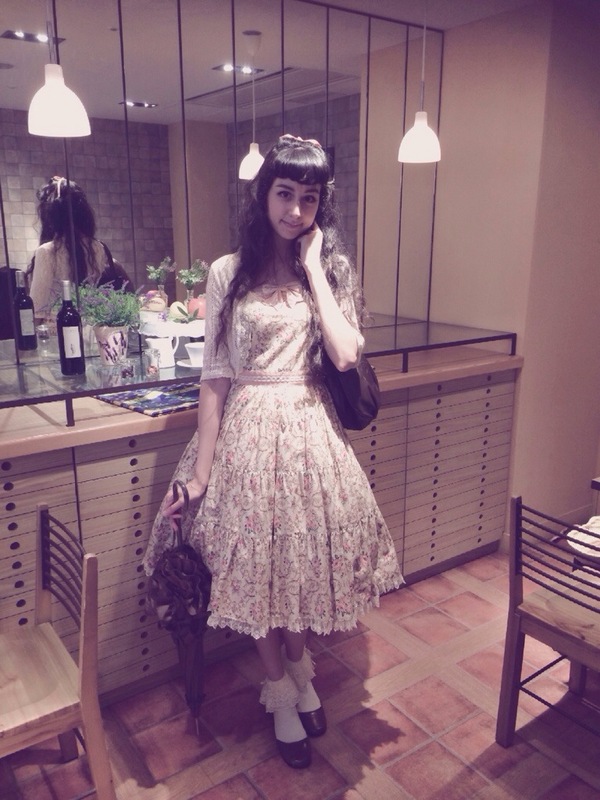 Recently I went to Shibuya on a quest for yummy food! Do you know the French brand L’Occitane? They make delicious smelling skin care and toiletries based on natural ingredients. A few years ago they opened a cafe in Shibuya, and since then more have opened in Asia. I’ve heard a lot of good things about the cafe so I decided to give it a try. 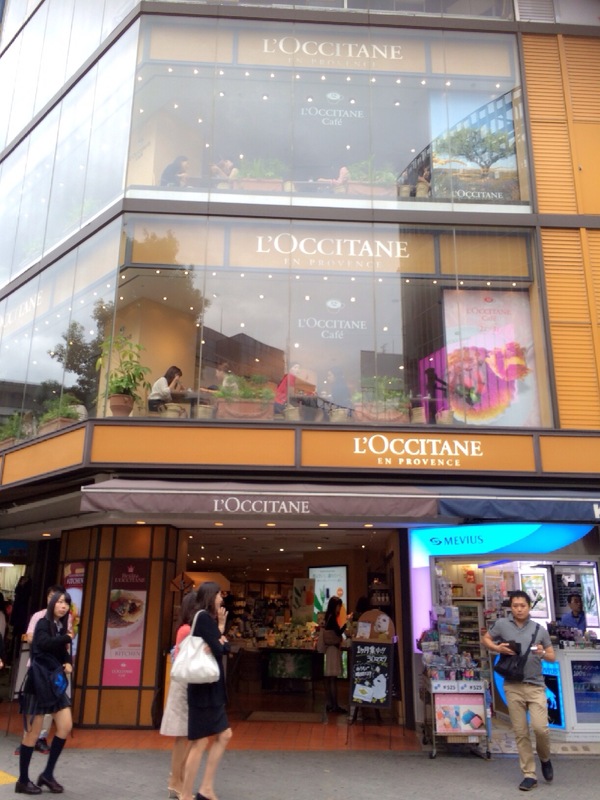 L’Occitane is right next to the Hachiko exit at Shibuya station and the cafe is on the two floors above the shop. It smelled so good! The menu is mostly salads, sandwiches and sweets. There isn’t a huge selection, but eveything looks good. I ordered a salad with prosciutto. It was amazing! The ingredients are super high quality and it tasted really fresh. There was a selection of bread on the side (including walnut bread and olive bread) which was refilled multiple times! I also ordered some lavender tea, which came with two types of honey. I don’t like sweet tea, but I did put some honey in my teaspoon and try it! It was delicious…. 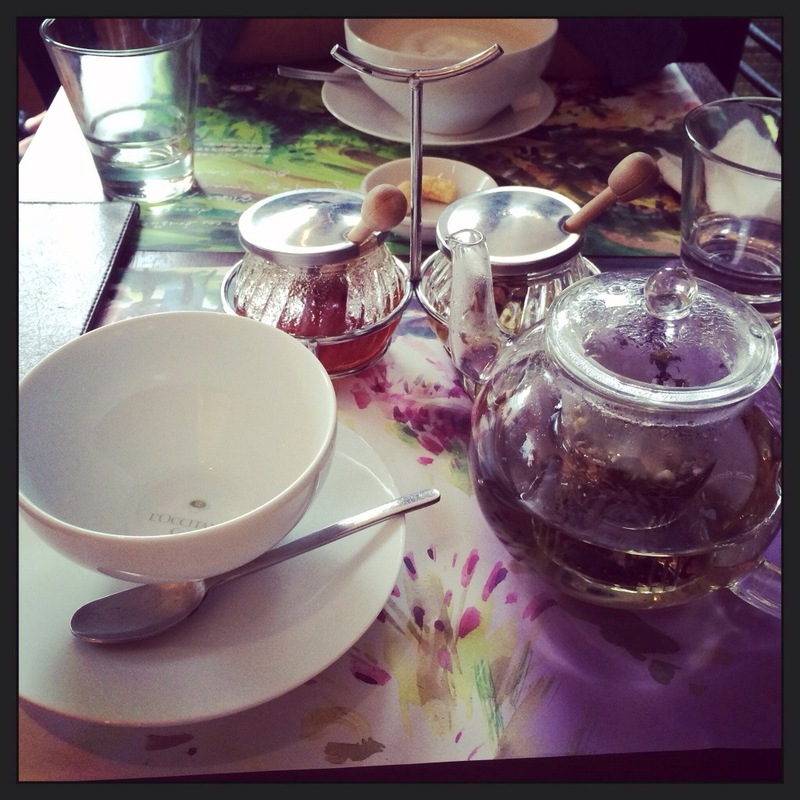 I wasn’t extra specially impressed with the tea, but it was perfectly nice. Later on that day I tried ikasumi pasta for the first time! The black colour comes from squid ink. I ordered mine with ikura, but mentaiko is popular too. It’s not suitable for consumption in all companies I rather think, but I enjoyed it. The taste is quite subtle, which suprised me. 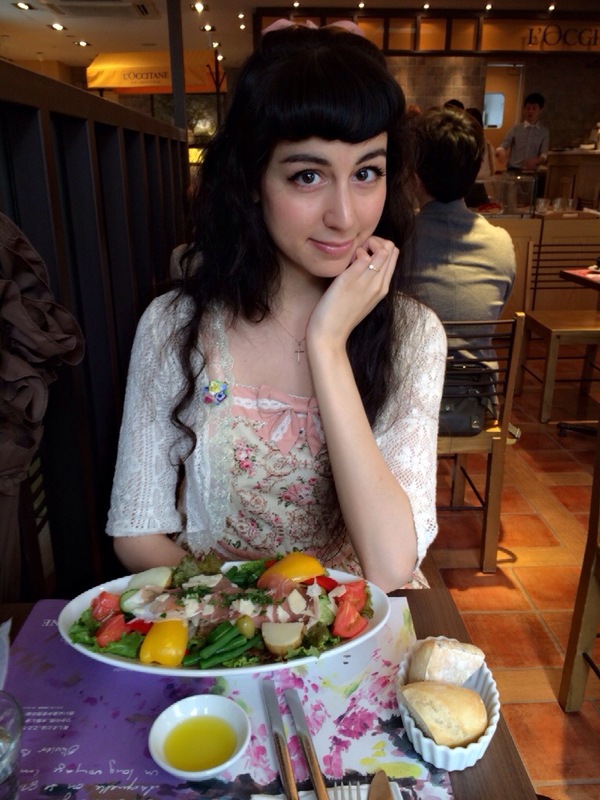 My friend recommended the restaurant to me, I can’t remember the name but it’s in Shibuya! Anyway, you can get this pasta in many places. I hope you enjoyed this post! Thank you for reading and see you again soon. It was really the best salad I ever tasted! I hope you’ll get a chance to try it someday. I heard the sweets are really good too! oh wow, I dind´t know l´occitane had a cafe, it´s one of my favourite brands. it looks very nice and you look amazing and adorable as usual! thanks for sharing the pictures and information with us! Thank you very much! If you like the brand I’m sure you’ll love the cafe. 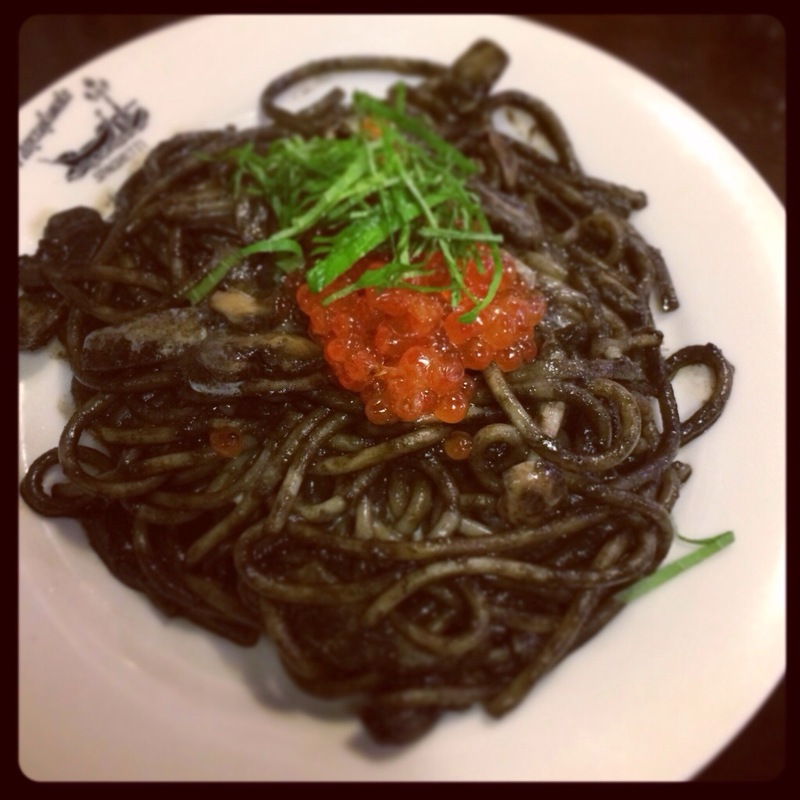 Ikasumi pasta with ikura or mentaiko seems so my thing…drooool *Q* I hope I will manage to try it. I think there are cafés for just about everything in Japan!